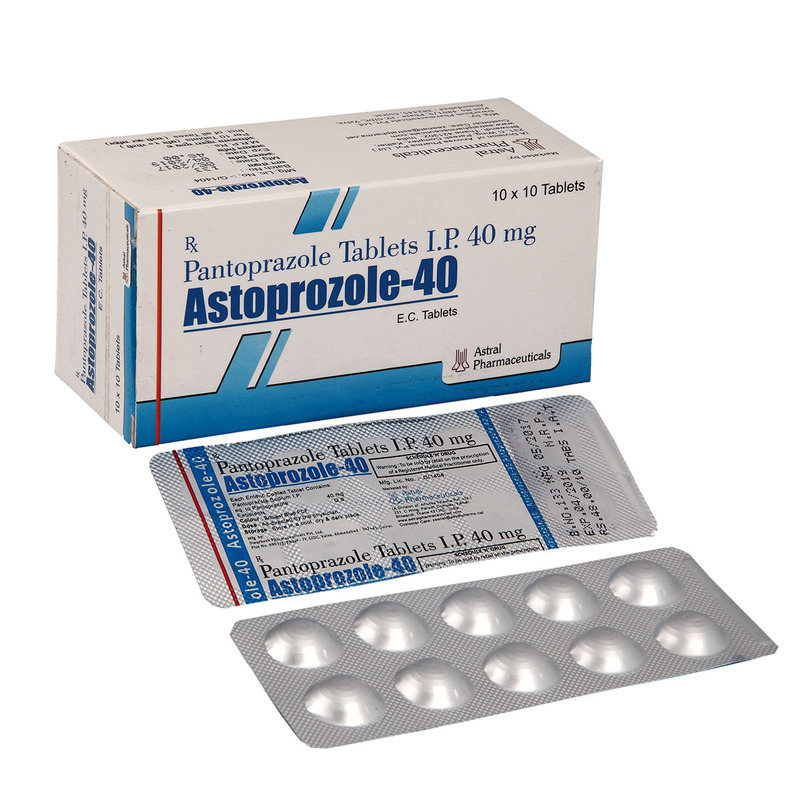 ASTOPROZOLE 40 is known medicine to treat acids produce in the stomach. Pantoprazole is used to treat and help heal duodenal and gastric ulcers. 10 X 10 Alu Alu Strips kept in a multicolor laminated box. A special packing of 14 tablets is also available and also available in loose pack in plastic bottle. Pantoprazole reduces the amount of acid produced in the stomach. Pantoprazole is used to treat certain conditions caused by too much acid being produced in the stomach. It can also be used to treat irritation and ulceration of the stomach caused by non-steroidal anti-inflammatory drugs.